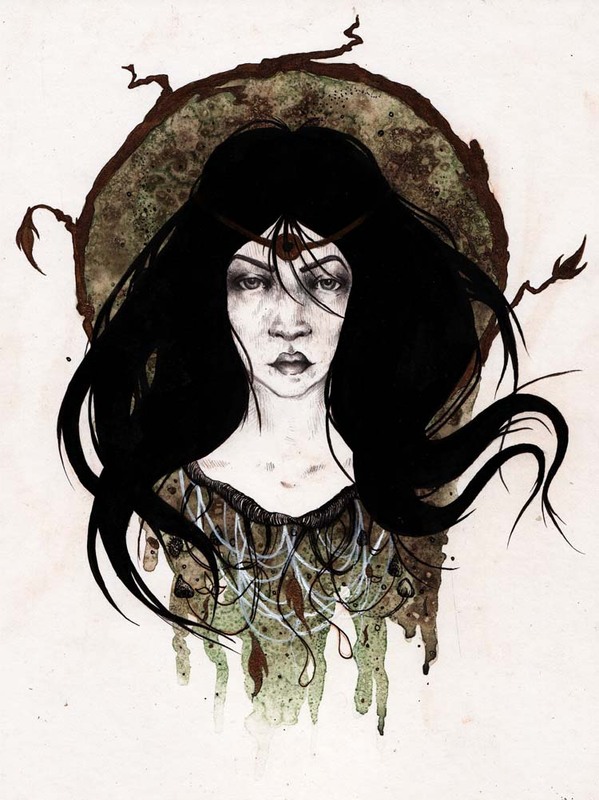 Meagan Meli’s creations contain a potpourri of themes, imagery and cultural references. Her illustrations can be playfully dark and scary in an Edward Gorey way. Yet no design elements are left stranded. They relate to each other by way of complementary colors, placement and equal doses of quirkiness. 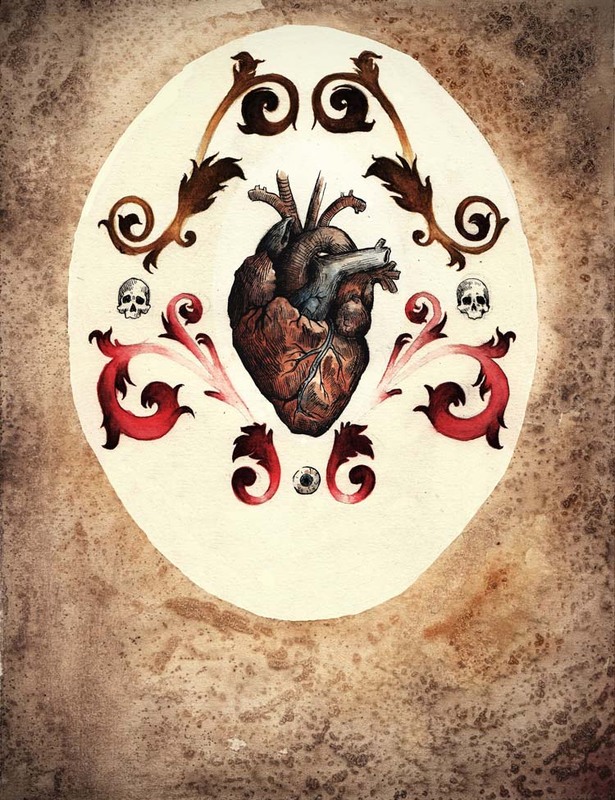 There’s the juxtaposition of the human heart next to floral Victorian shapes. There are hippy era mushrooms, a Native American-dream-weaver, Day of the Dead and woman-as-wolf symbols. 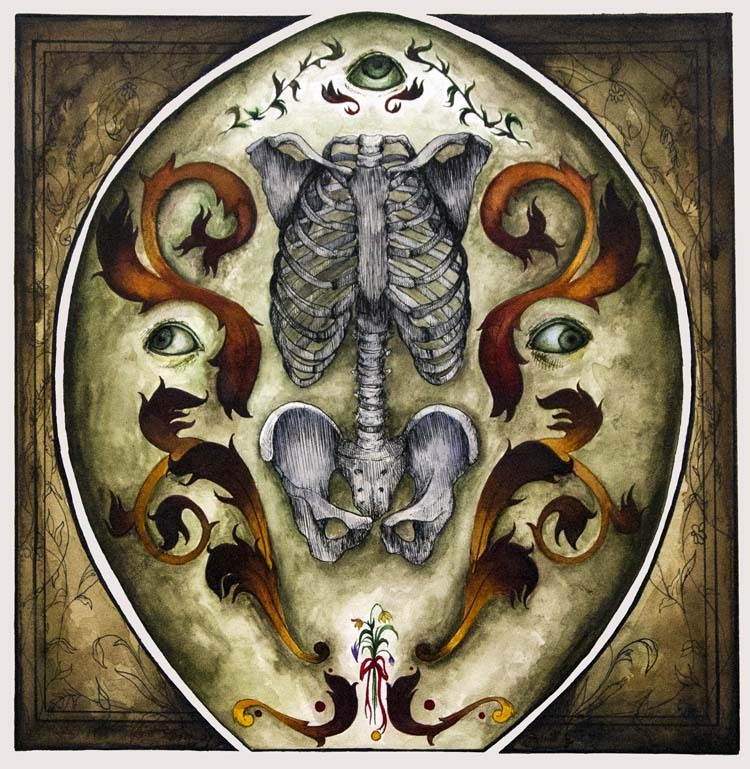 Canines, feminine skeletal parts, beaks and third eyes are found in her works as well. Meli considers it to be her most “bizarre and gruesome” piece. 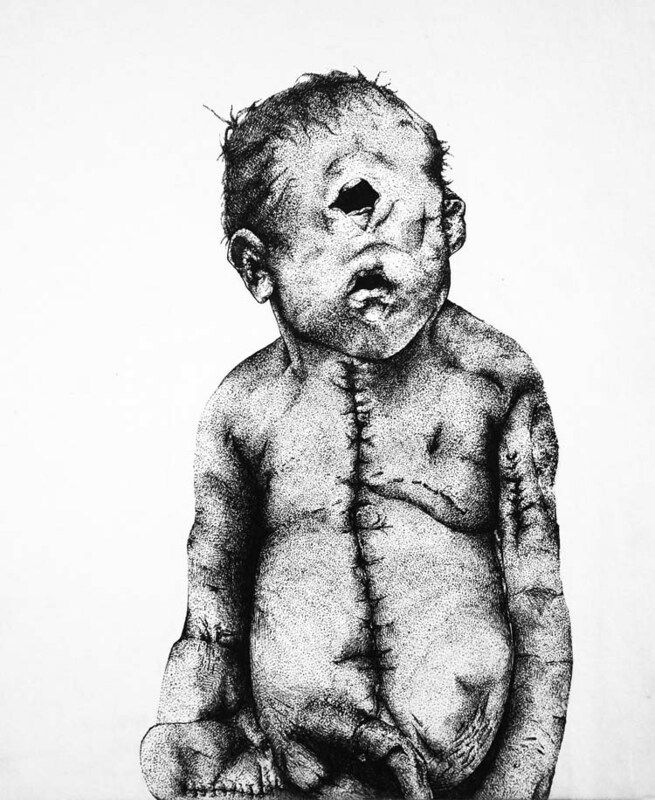 “This is based on a real congenital disorder called Cyclocephalus, otherwise called a Cyclops,” she says. In another work, a knotted bunch of wildflowers fits in delightfully beneath a skeletal torso. At the bottom pelvic area of the torso there are two fingers touching in an “Om” shape. “I combined my favorite types of imagery into one piece to make my “Dream” illustration into something special,” said Meli. Meli, who is completing her BFA in illustration, received her AAS in fine arts at FIT. “They are different worlds,” she says of the two disciplines. “Going from working abstractly to the push to working very tightly is a leap! 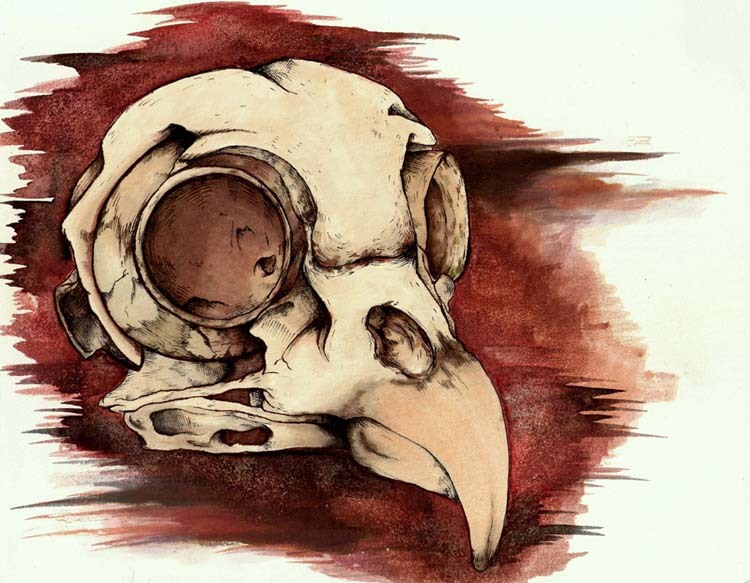 “‘Barn Owl’ is the most popular from a series of five called “Osteology of an Animal,'” says Meli. “I can’t believe how far I’ve gotten in two years,” she says. “I can’t wait to see what becomes of me after these final two years in the FIT Illustration department! This entry was posted in student work and tagged Dan Shefelman, Dave Devries, Don Sipley, Edward Gorey, John Nickle, Meagan Meli. Bookmark the permalink. How extraordinary Meagan! You’ve grown enormously as a draftswoman and your concepts are straight to the point, communicated in a concise, unhindered manner.Rachel Ellner writes beautifully about the symbolism and playful eeriness of your works. I’m also warmed by the pathos you provoke–“Barn Owl” is, among other things, a sad tribute to the majestic animal that once was, and it touched me deeply.